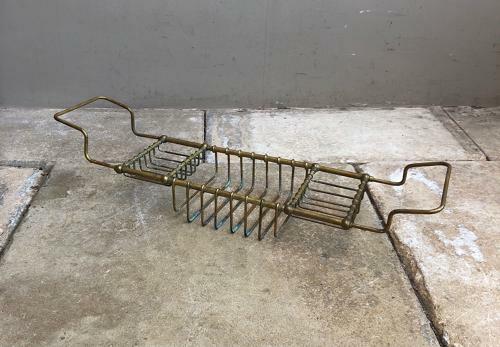 Victorian Brass Bath Rack. Lovely piece to sit on the bath and store your bottles in or hold a cup etc. Just as I purchased it...you may need to polish if you want it shiny. The arms are adjustable and slide in and out to fit the bath.